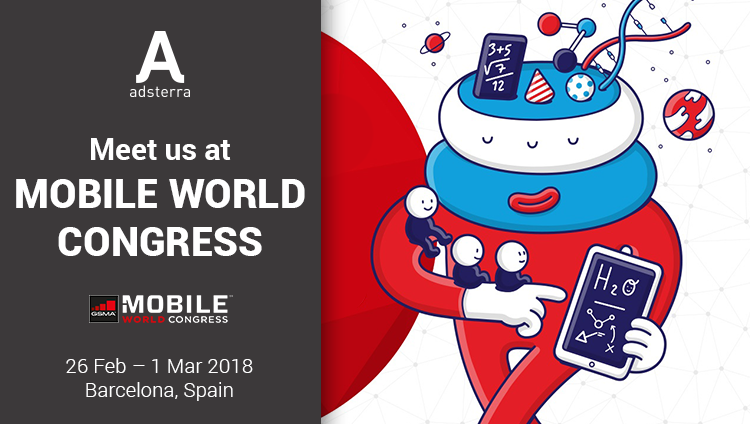 From February 26 till March 1, find Adsterra team at Mobile World Congress at Barcelona, Spain! This year the largest gathering event in mobile industry will guest over 108K attendees from 208 countries. Mobile World Congress combines business and networking with one-of-a-kind opportunity to face the latest technologies to stay tuned. This year the whole conference concept is going along with UN Sustainable Development Goals with an emphasis on how mobile industry can take part in creating the better tomorrow for everyone.